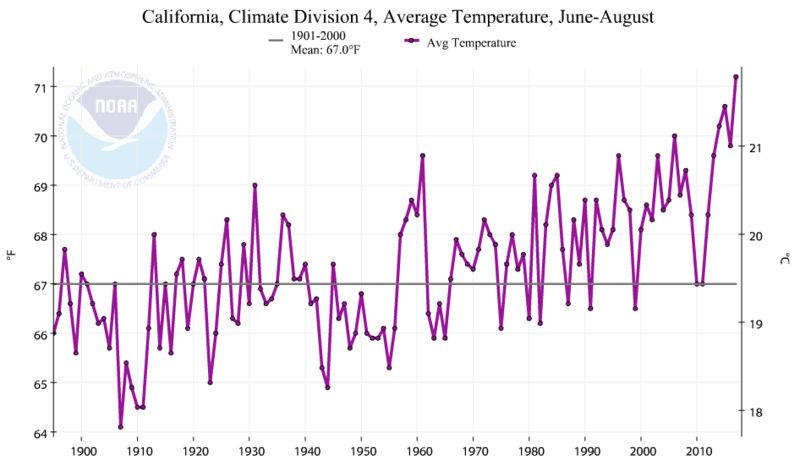 June through August average temperatures in California's 6th climate division, which includes Ventura County. Below is the average statewide temperature for June through August 2017. The 6th Climate Division experienced its second warmest summer on record.